Magnets, in marketing, are an effective technique for gaining a prospect's contact information. The problem is these magnets can take a lot of time and energy to produce. 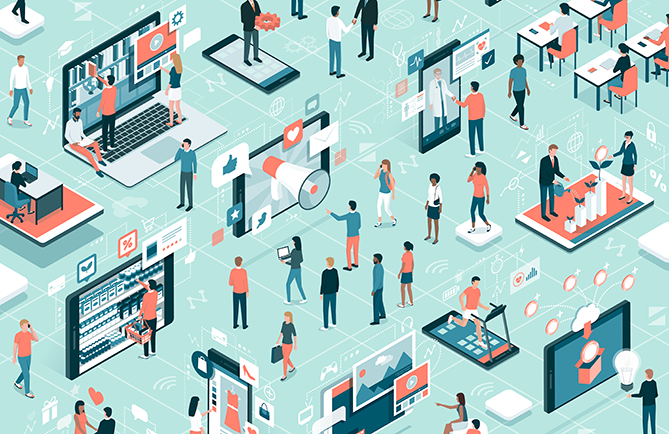 Podcasts, e-learning courses, video series, and contests all sound great -- but who has time to create it all? In this article, I'll reveal nine different lead magnets you can create today by repurposing content you already have. 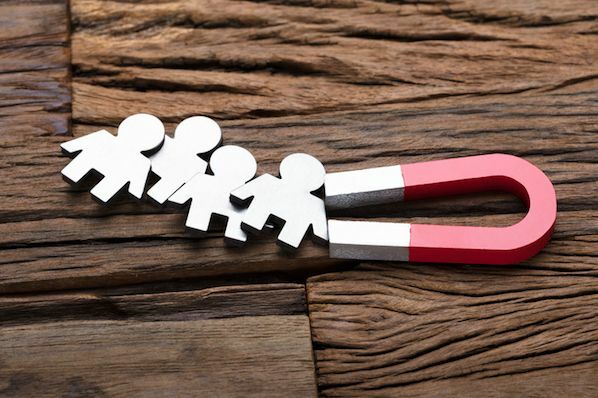 A lead magnet is a marketing tool that generates leads by offering a long-form resource in exchange for a prospect's contact information. Leads magnets can take the form of ebooks, whitepapers, templates, and similar downloadable assets. This exchange takes place at the second stage of a buyer's conversion path. Call to Action (CTA): This is the button that blog readers and website visitors click to access the resource you're offering through this lead magnet. Landing Page: This is where your lead magnet captures information provided by the visitor. After visitors click the CTA, they're brought to a landing page where they'll fill out a form with their name, email address, and any other relevant information you've deemed important. Thank You Page: The visitor is then led to a page where they can download your resource, officially adding them to your mailing list. Kickback Email: The kickback email is your follow-up message to the lead a short time after the exchange takes place. 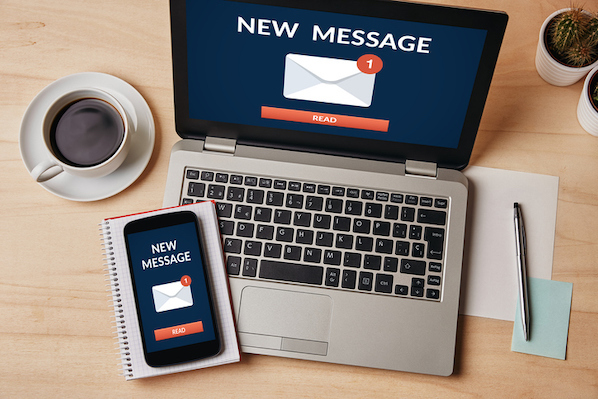 This email marketing campaign starts a conversation with the lead to keep them engaged with your business. Every blog post in your archive has the potential to generate new leads for your company, so let's make sure that your blog is a lead generating machine. These posts could be logically compiled into an ebook entitled "The Puppy Planner: Everything you need to know to prepare for your first puppy." This type of ebook is effective because you're making the lives of your website visitors easier -- which should be the goal of any lead magnet you create. Rather than asking them to find all this content one article at a time, you're packing it up into a convenient bundle that they can keep and refer back to. The most successful lead magnets offer an irresistible and instant reward to your visitors, and the mini ebook checks off that box. If you're in an industry that is already well established, it can be hard to come up with original content. Sometimes other people have covered a subject in such detail that it's almost impossible to add extra value. In this situation, I'd recommend producing an Ultimate Guide. An Ultimate Guide is a comprehensive collection of the best articles about a particular subject. The main difference between this and a mini ebook? 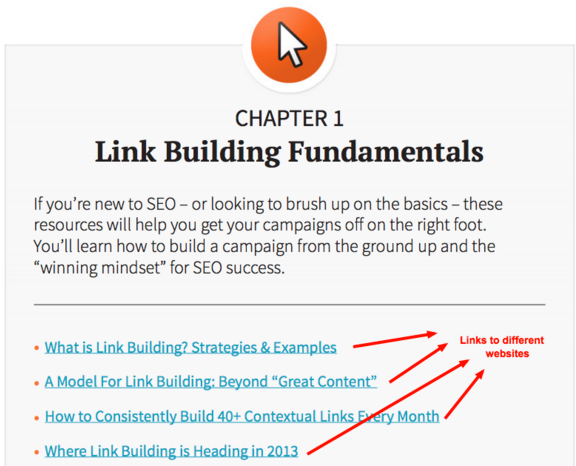 You're not recycling posts from your own blog; you're linking directly to other sites. It's important that you don't copy and paste someone else's content into your guide, but rather include a link back to the original article. 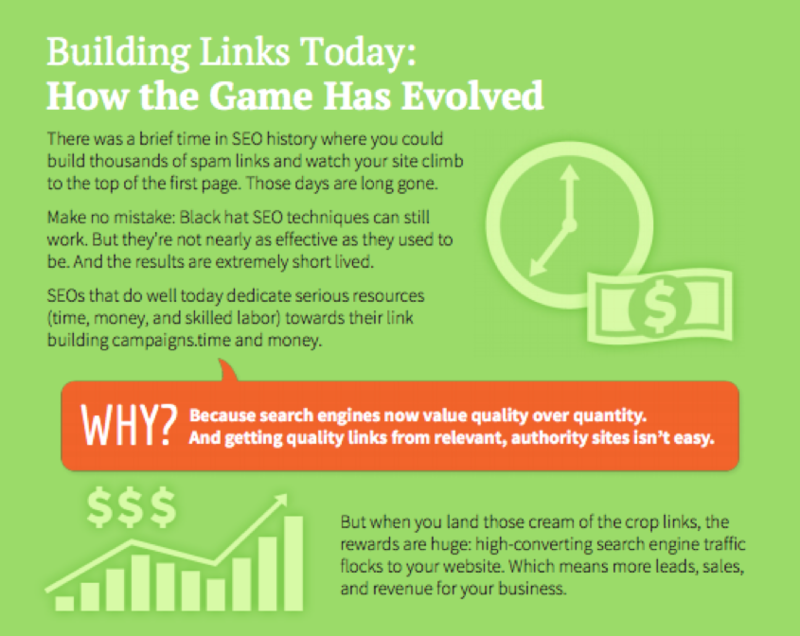 Link building is a complicated and broad subject. Dean's definitive guide saves his audience a lot of time looking for this content. 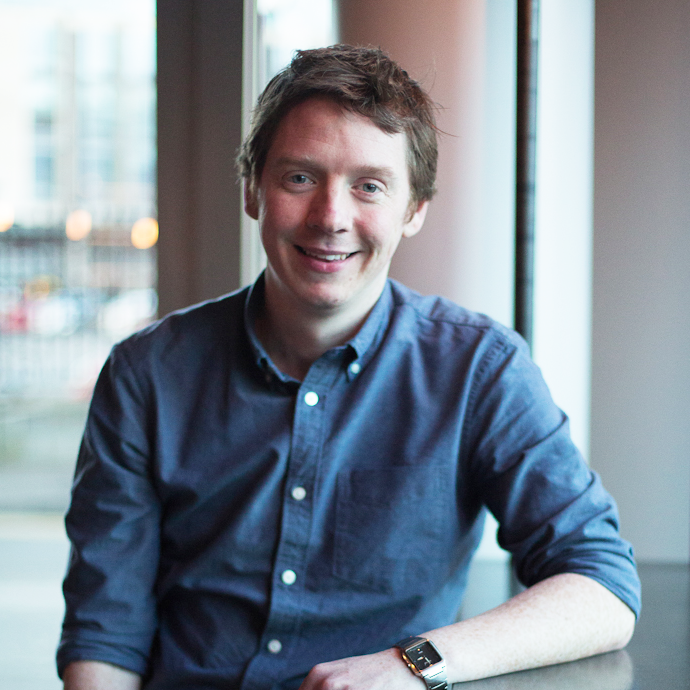 And because so many other experts have written fantastic content about link building, Dean also saved himself the time of competing with content that already exists. Rather than just listing the links, Dean adds extra value to his audience by categorizing them and including a brief introduction for each category. This guide has also been well designed, reiterating that this a valuable resource that should be kept and referred back to. Do you work in an industry that is already bursting with quality content? Think about making your own Ultimate Guide. Offering additional content that is not included in the original blog post is the perfect way to reward readers who opt-in. If you have an article titled "The 5 Pieces of Equipment That Every Puppy Needs," you could offer readers an exclusive PDF with a few more pieces of equipment that may have come on the market since the original post was published. In his article, "How to go from one Facebook ad to $197 in less than 60 seconds," blogger Bryan Harris took this one step further and combined a PDF version of the article along with 5 links that weren't in the original post -- people only received these bonuses when they subscribed. This lead magnet was so successful, 42% of the people who saw it opted-in to receive the Bonus Pack. 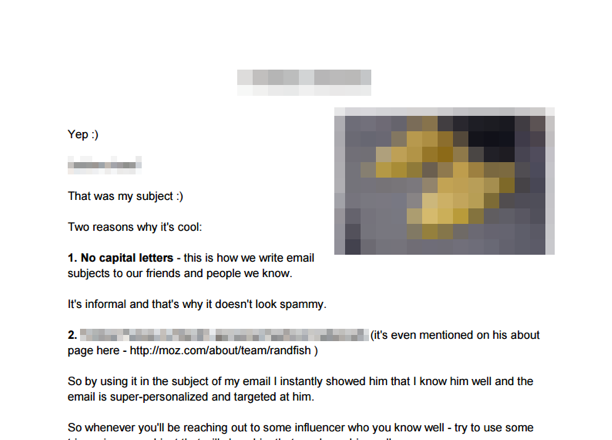 Imagine the leads you would have if almost half the people who visited your website gave you their email address. If you've already written a strategic blog post, consider offering a Resource Guide as a lead magnet. A Resource Guide is a collection of things that help people achieve results. Dean used this strategy in his post, "SEO Tools: The Complete List." He offered a free download that detailed the 153 tools featured in his post -- the perfect resource for a reader to keep and refer to whenever they need. The Resource Guide could be as simple as list of five books or apps that you recommend. Since it's easier to buy a tool to get results than it is to actually implement a strategy, your readers will love this. What resources could you recommend to a potential customer that would help them to achieve better results? Instructional blog posts are just waiting to be turned into Checklists -- and they couldn't be easier to create. 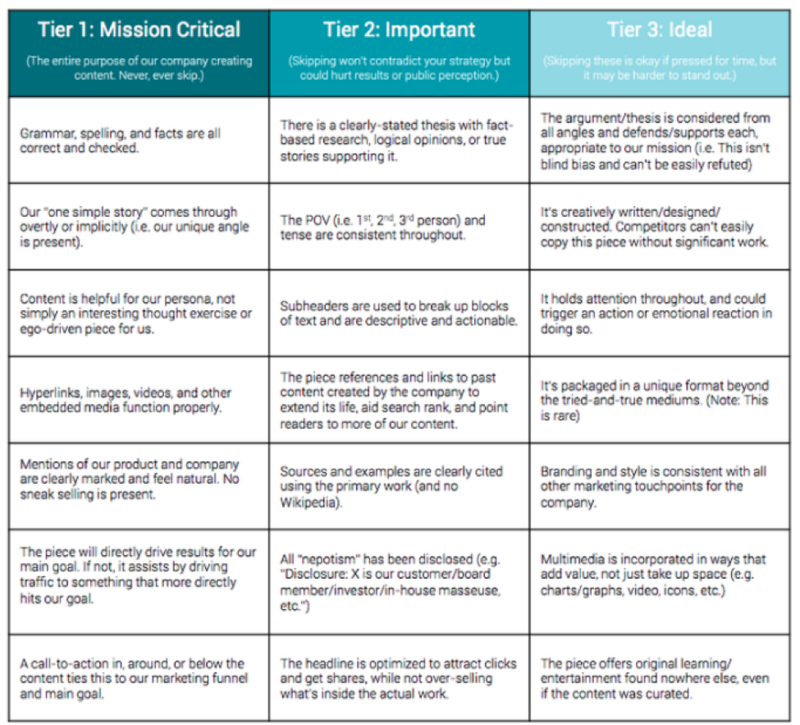 Just take your blog post and simplify it into a series of bullet points. Next, remove any points that don't contain actionable advice. Split the list into several numbered steps to make the outcome more achievable. Bonus points if you offer the Checklist in a printable format so people can physically tick-off each item on the list as they complete it. This sense of achievement is a great feeling that people will attribute back to your business. 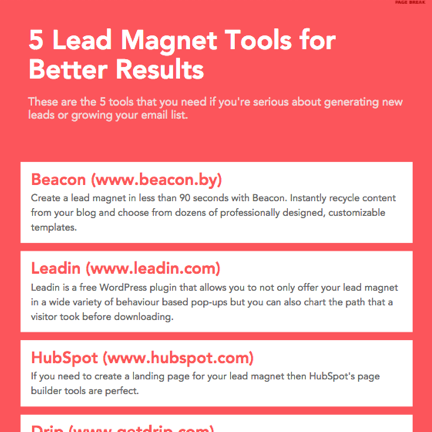 The Ultimate Webinar Checklist from HubSpot above is a valuable lead magnet because of how practical it is. Hosting a webinar involves balancing a lot of different tasks coming together at the same time. This checklist informs you about everything you need to watch out for, from pre- to post-webinar. The Workbook is an incredibly effective lead magnet, especially for service businesses. In its simplest form, a Workbook is a download-and-complete resource that helps people to apply the principles of your blog post to their own business. Neil Patel offers this highly practical Workbook for writing blog posts that rank in Google. It includes exercises like planning your blog post structure and experimenting with different introductions. Patel's example is brilliantly simple in its execution. He keeps the design to a minimum so people won't worry about their ink running out when printing and he has left plenty of room for people to write their answers. The goal of a Workbook is to have the participant learn by doing. As the teacher in this scenario, you're positioning your business as an expert on the subject matter at hand. With that in mind, you'll want to choose the exercises included in your Workbook carefully. Tease information out of the participant gradually, so that at the end of the Workbook they can combine their short answers into a comprehensive piece of work. In Patel's case, the participant would've had a complete blog post written by the time they finished. A Workbook is the perfect stepping stone to your premium products or services, so be sure to include a strong call to action at the end that clearly tells the participant how you can help them to apply their new found knowledge. Is there a particular subject that you could help you audience understand more clearly with a Workbook? Case studies depend on very specific types of content, but the successes they reveal can move a customer to take action. If you have a blog post or interview clip that spotlights a real customer you've worked with, package this content into a written case study that expands on the need the client came in with and the metrics of their success. Then, gate this case study behind a form that website visitors can fill out with their name and email address to access the study. Keep in mind you'll need permission and approval from the client on which you'd like to create a case study. Once you receive this approval, however, its a perfect lead magnet to host on content that tells your readers about a success you're customer had under your guidance. This call-to-action was pitch perfect because it got me curious. I just had to know what the email subject was. I also knew that it would be a relatively short read so I wouldn't have to commit to a lengthy ebook -- lazy, I know, but that's human nature sometimes. Suolo's lead magnet is just one page and was made using a standard word processor. There was no point in spending time or money on the design in this case because the secret is the only thing that matters. I blurred out the tell-tale image and text in the above screenshot -- if you want to know Suolo's secret, you'll just have to download the lead magnet! Do you have any behind-the-scenes insights to a blog post that are compelling enough to offer as a downloadable secret? Webinars don't have to be long, collaborative presentations with multiple colleagues or partners. If you've got a blog post that merely touches on a subject you're an expert in, use this blog post as a springboard into a live talk hosted by you and a coworker. If you've written an article about Europe's recent General Data Protection Regulation (GDPR), for example, convert this article into a Prezi or PowerPoint. 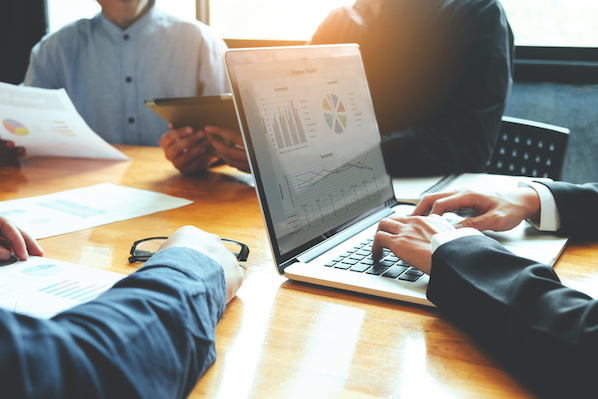 Present this document through a live video conferencing platform, using helpful visuals and, of course, your own voice to provide insight that listeners wouldn't have gotten from just the blog post. What makes this a lead magnet? You'll invite people to listen using their email address, and even solicit questions that allow you to score those who speak up during the webinar as potentially more qualified leads to follow up with after the webinar ends. Make sure you're clear on the date of the webinar when promoting it through your CTA, and feel free to host it more than once if initial turnouts don't yield the best attendance. 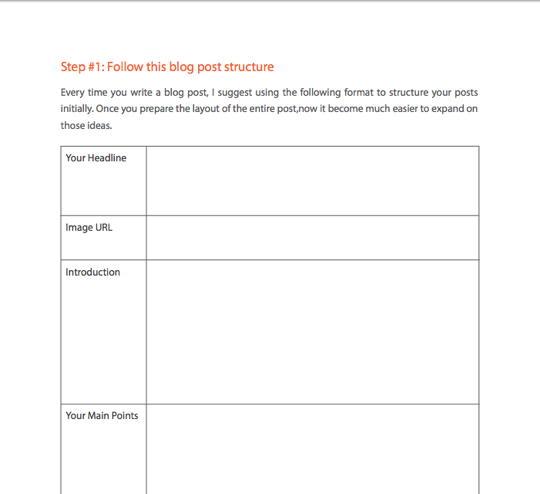 If your blog post covers a complicated topic, it might be a good idea to offer readers a one-page sheet that they can refer back to when they need to refresh their memory. This could be a glossary of terms or just a brief summary of some key points. This type of download-and-keep resource takes the pressure off readers so they don't have to memorize or implement your strategy immediately. It does compel readers to opt-in to your list though which is the ultimate aim. In this example, Jay Acunzo offers a Visual Cheat-Sheet for Editing to Help You Move Faster. The goal here is to help his readers to edit their work while still moving quickly through the process. A Cheat Sheet is the perfect resource here because the compact format means that people can quickly glance at it while they are going through the edit process. It really is a complementary tool for an existing process. Guest blogging is a terrific a backlink strategy, but those who use it typically agree to not republish that particular post on their own blog. This is fairly common, as Google punishes sites that duplicate content onto two publications -- it's in nobody's interest to do so. What you can do, though, is compile all these guest posts into a book format. Since the content will be gated behind a lead capture form, there is no risk of Google flagging it as duplicate content and you get to squeeze a little bit of extra value from that content you worked so hard on. There you have it, nine ways to recycle your existing content into lead generating assets. You already have the blog content -- all you have to do is implement lead magnets and an email campaign that gets them into your contact database.